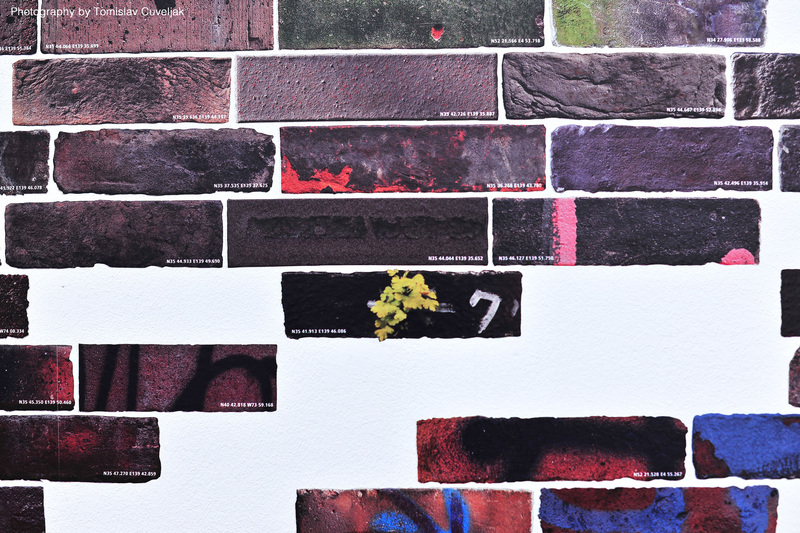 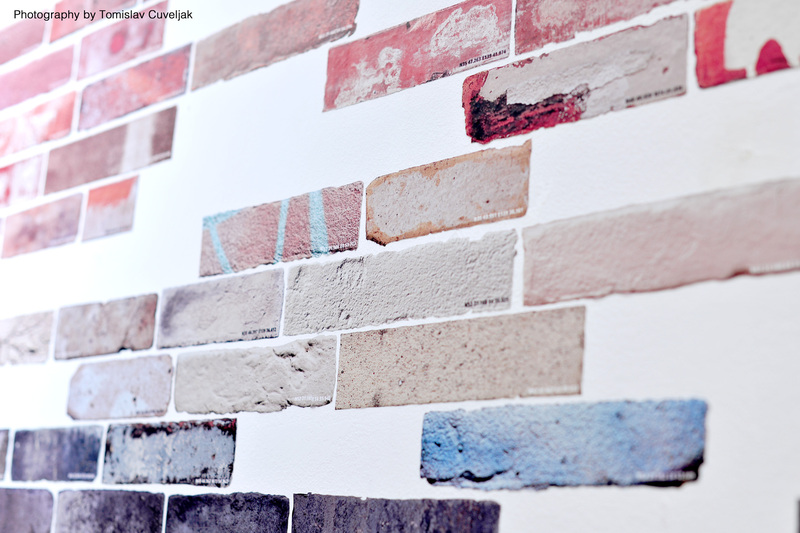 A new wall, combined of photographies of bricks taken from each different wall in various cities. 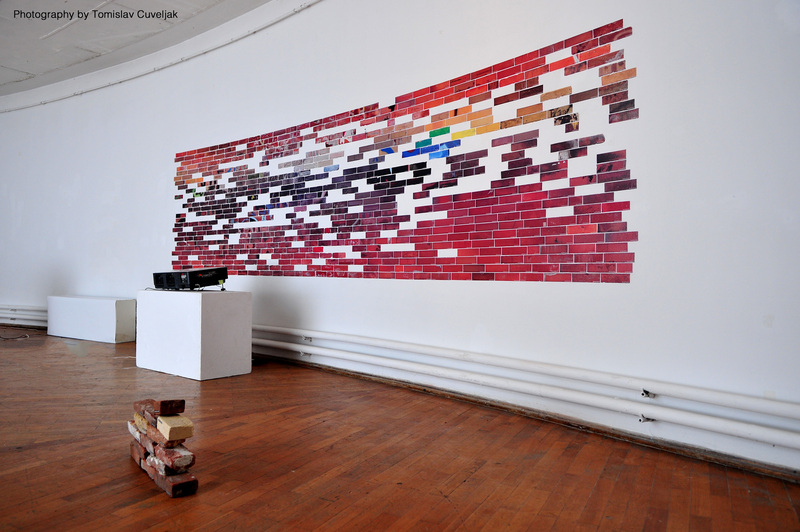 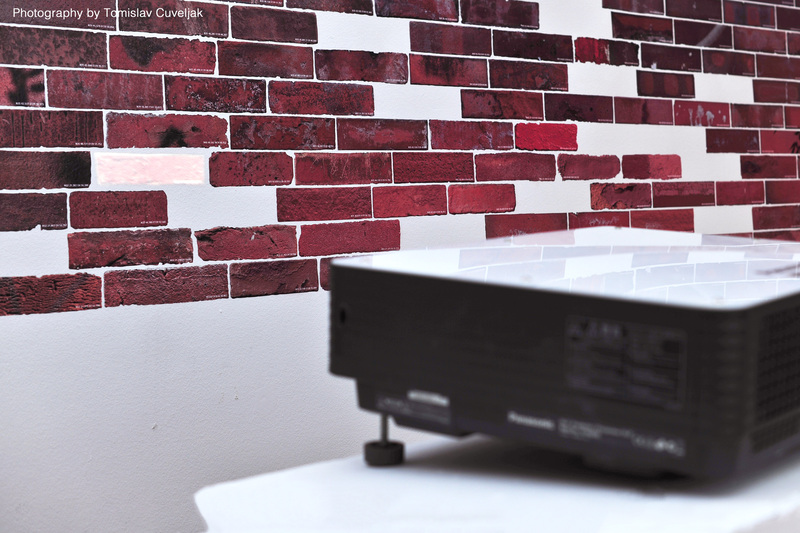 A brick in sequence is projected on the part of missing pieces, on the white wall in the gallery. 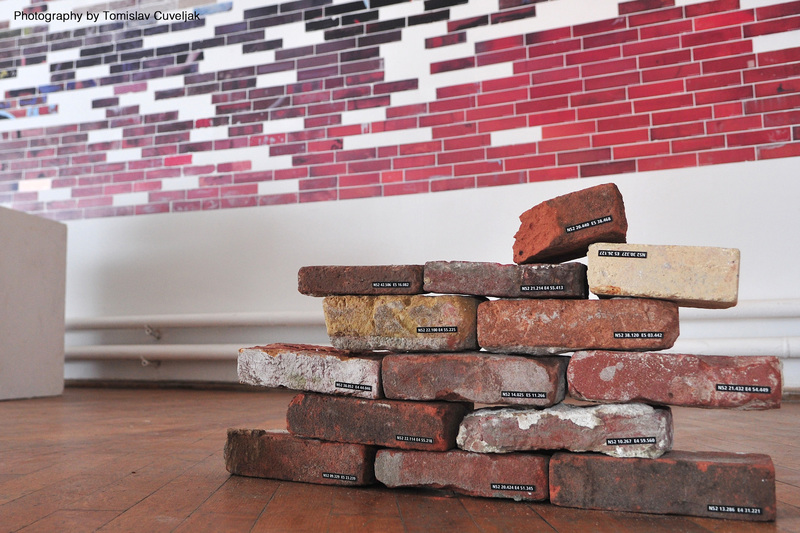 Reconstructed real bricks on the floor stands, but it’s also stripped its meaning as the wall. 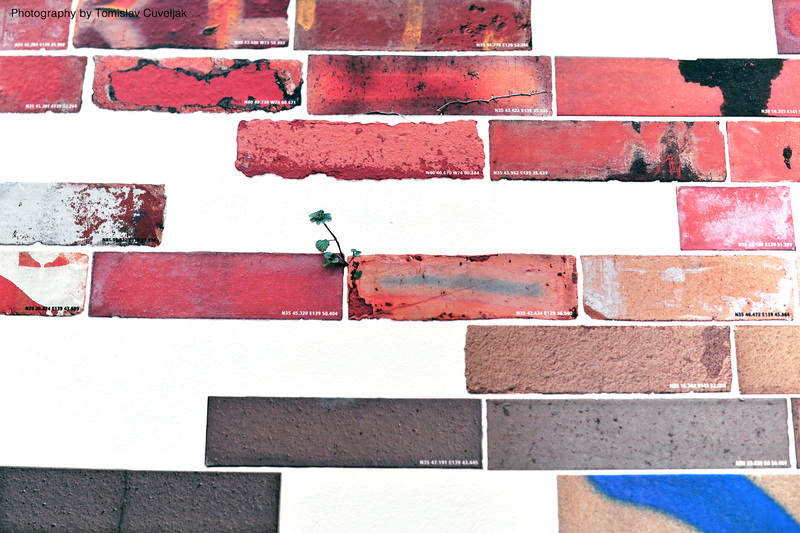 Somewhere standing here is anywhere.